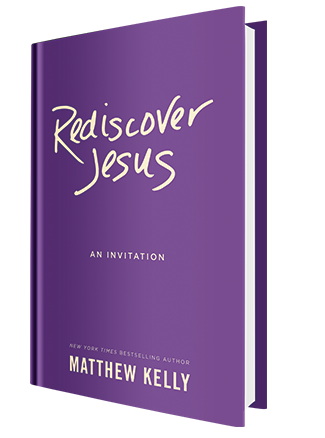 I am a big fan of Matthew Kelly, a Catholic author, best known for his inspiring “Rediscover Catholicism” book. After hearing someone mention it one day as I was just becoming interest in Catholicism, I sought it out at the library and it really “sold” me! He is around my age (30’s-40’s) and has a very down-to-earth way of making Catholicism relevant to today’s world, even some of the most ancient and seemingly out-of-date practices. 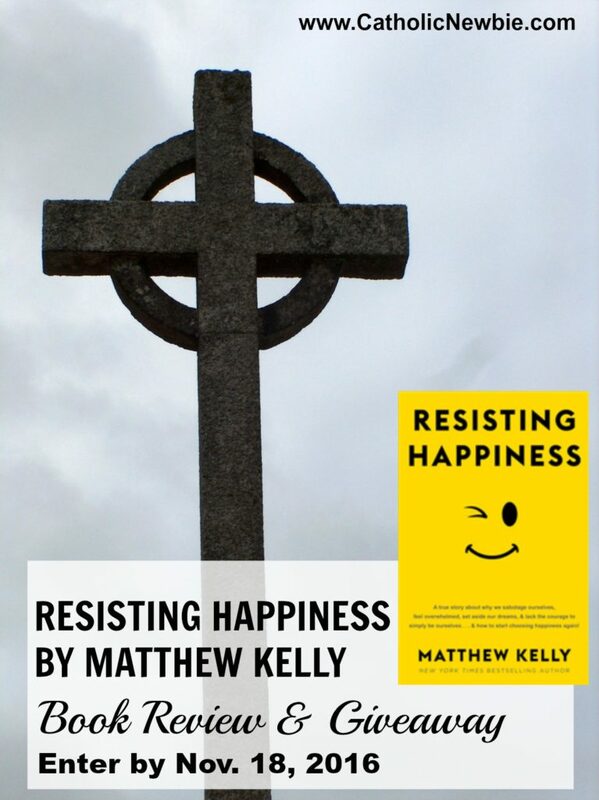 You actually can get a free copy of Rediscover Catholicism at his website, which I highly encourage you to do! 1) Pray daily – Kelly found that the most engaged Catholics all have a daily prayer routine. He provides a great 10-minute prayer ritual in his book (I made several copies and have them sitting around my house) that includes thanking God for what you’re most grateful for today, reflecting on when you were/weren’t your best self that today, considering any ways God may be talking to you today, praying for anyone you feel called to pray for and concluding with the Our Father. 2) Read the Gospel – He suggests spending 15 minutes a day reading one of the four Gospels for a year. He says keep reading them over and over for a year to help get to know Jesus. Then you can move on to other parts of The Bible. 3) Donate or volunteer – Make a conscious effort to increase the amount of time you give to volunteer work or to increase the amount you donate to your church or charities a little bit each year. 4) Pray the rosary – Try praying the rosary on a regular basis (I am working toward daily). Here’s a great blog post from a fellow blogger on the power of the rosary. 5) Go to confession monthly – No one wants to do this one, but already confession has become a favorite of mine! It’s truly a joy to be forgiven and be handed a clean slate. You’ll be amazed at how it effects your outlook on life and your ability to reel in sinful tendencies. 6) Make Mass more meaningful – Kelly suggests keeping a Mass journal and asking God before each Mass to show you one way you can be a more holy person. Pay attention during Mass to that one message that speaks to you (and it will!) and write it down. Review them periodically and see how well you’ve followed God’s guidance. 7) Read a Catholic book – Try to read 1-2 Catholic books a year. Start with Rediscover Catholicism! Kelly maintains if we all read just one more Catholic book a year what a difference that would make to the church and the world. 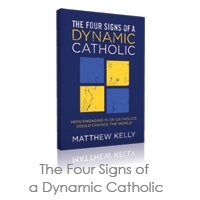 Kelly’s “The Four Signs of a Dynamic Catholic” book aims to encourage Catholics to be more engaged so we can have a more powerful positive effect on the world. If we can just get a few more people engaged at each parish, that could have a huge impact on our country and the world toward goodness and peace. Get started doing your part by adding one of these simple steps to your daily routine. Keep adding a new one every month or so and let me know how it impacts your life. I am working on this also and will share my progress! Come on, Catholics! Let’s engage the world!